Russell doesn't look big here, but he's reportedly 120 lbs! 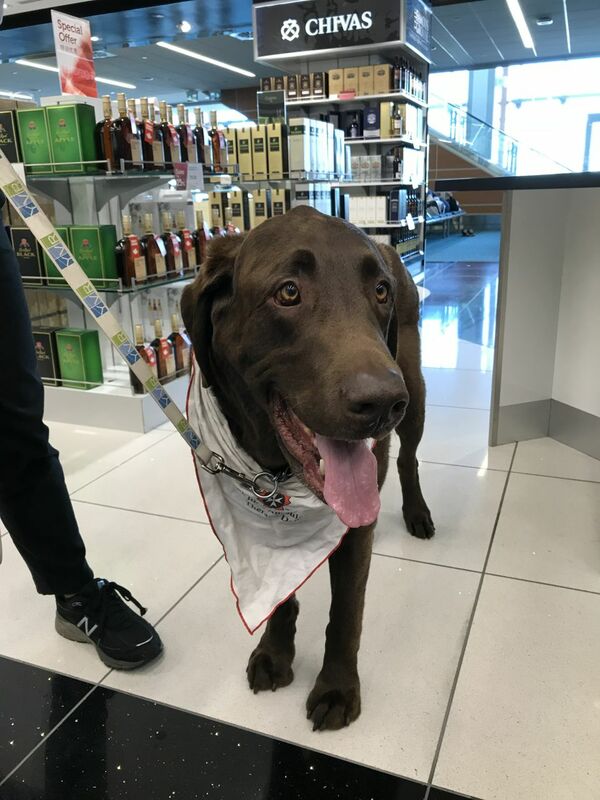 Last August Vancouver International Airport launched the Less Airport Stress Initiative (LASI) where the airport partners with St. John Ambulance and their Therapy Dog program. The fidos along with their owners wander around the airport terminal to help ease travelers' anxieties. The dogs are around from 11am to 1pm Monday to Friday at YVR, after you have gone through security.